Ivelin Gushkov graduated from University of Plovdiv “Paisii Hilendarski” with a Bachelor’s Degree in Applied Mathematics. 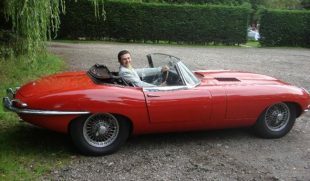 He has worked as a retailer and wholesaler in various trade merchants. At one point, Ivelin started his own business in the auto mechanic industry. 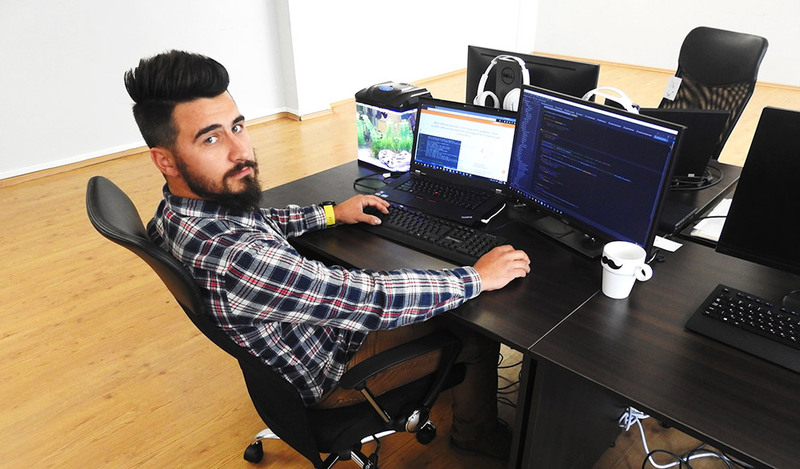 Currently he is working as Junior Open-Source Software Developer at BGO Software. 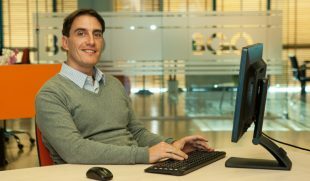 Ivelin is also part of our data extraction team. It’s been a year since I joined the company. After a few discussions with a close friend of mine, who has been working in the IT industry for a few years, I decided to try working in this field myself. 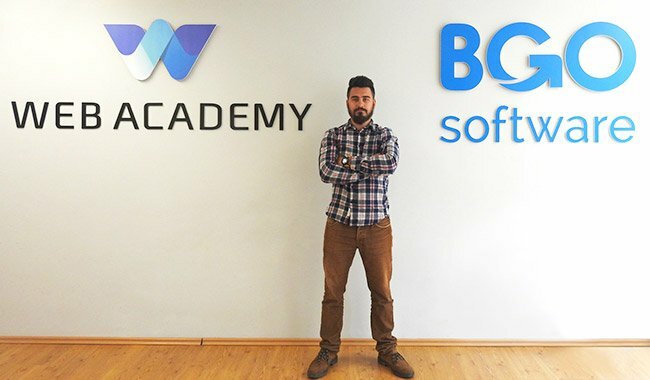 His recommendation of Web Academy put me on the path to success and after a year of hard work, I graduated three of the programming courses with certificates in Front–End Level 1, Front-End Level 2 and PHP 1. My efforts paid off and thanks to the newly acquired skills and know-how, I got an opportunity to gain a real-life experience in the IT world. 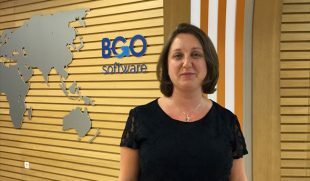 So, while I was waiting for the fourth course to start, I got a chance to join BGO Software and work for the company. My constant desire to “level up”. In my opinion, technical skills make you a developer but thinking out of the box is what makes you a great developer. As a junior software developer tell us what it is like to be one. It is a real pleasure, because every task is a new challenge. I get inspired by many things. It depends on the situation. Mainly by Paulo Coelho… Just kidding. My inspiration comes from nature (save the bees!!! ), open-minded people and my girlfriend ? I learn the most from Yordan Enev (Manager at Web Academy), Nikolay Stefanov (R&D Manager), my colleagues and Google. If I had to describe myself in 3 words, they would be… I can’t really describe myself. I’ll leave that to you ? One person I consider a genius is Lachezar Gorchev, Richard Stallman, Linus Trovalds … Oops, that’s more than one ?